Usually we say a picture is worth a thousand words…. Kozmoz means many things to many people. 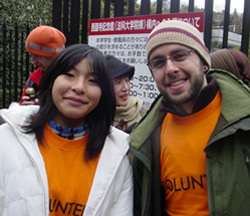 It operates a food bank, sponsors cultural exchange events, as well as providing international internships for giving people from all over the world a chance to experience Japanese culture and learn about social enterprise and how to structure our society for the future in a way that empowers people to shrink the ever growing gap between the .01% and the rest. It does all these things without seeking corporate, foundational or grant money from the government. So how does Kozmoz provide these services? 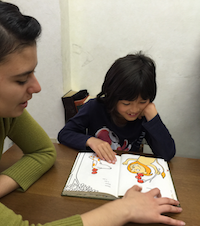 Over 90 percent of Kozmoz budget comes from our language school in Kyoto. 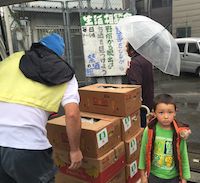 This school is staffed by volunteers, and all of the profits go to cover the costs of the social programs that Kozmoz runs in Japan. But why? Because the ends do not justify the means. Most charities seek sponsorship from corporations, foundations, and government grants. So why doesn't Kozmoz? 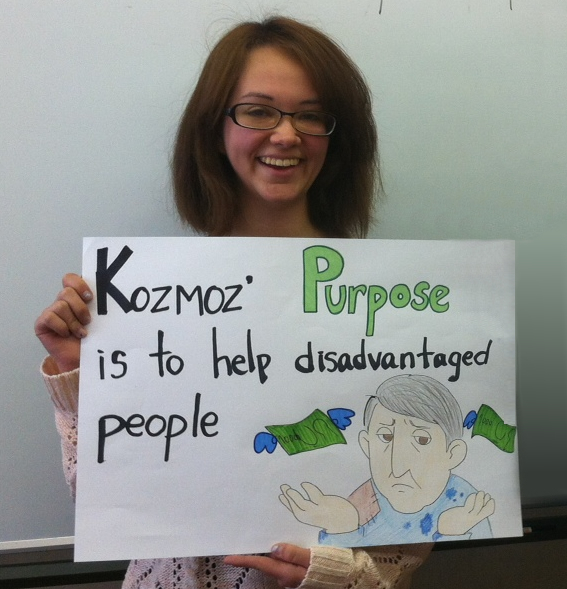 Kozmoz feels that the organizations goals would be comporomized if we were trading good deeds for publicity in order to solicit funding from corporations, receiving tax money violates the non-agression policy that hold as our core value..
One of our greatest goals is to provide a replicable economic model for other small groups to fund social projecxt while investing in the community. Kozmoz thanks all the students that have come to our school in Kyoto to improve their English and find out about and help meet the needs in their communities. Its amazing just how many pictures come from a single word. 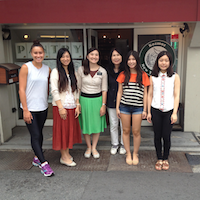 Kozmoz accepts interns from all around the world. 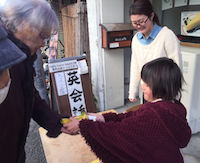 If you would be interested in learning alternative economics, the way a social enterprise could change your community, or taking an opportunity to view your world in a new way, consider applying for an internship in Kyoto Japan!